When you add a collaborator, this trainer appears in the list of collaborators. You can find all collaborators by opening Collaboration tab in your account settings. By clicking Edit link, a modal window opens. 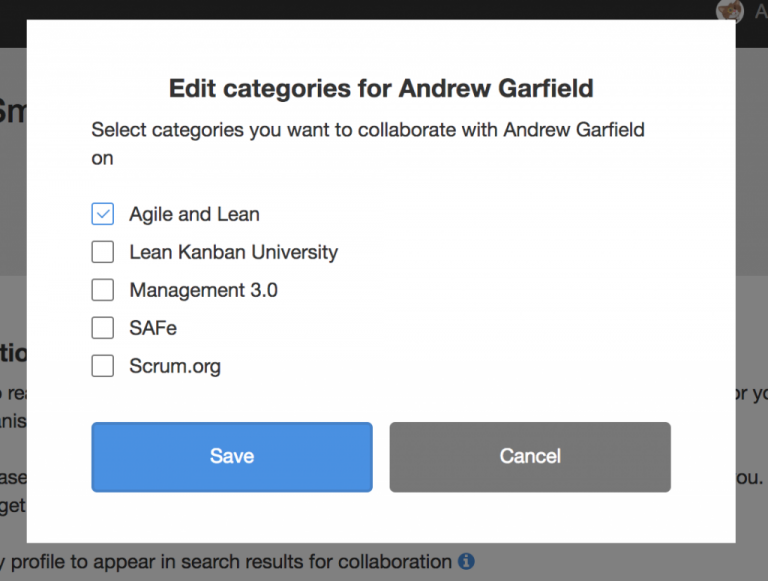 You can add or remove categories to collaborate on in this window. 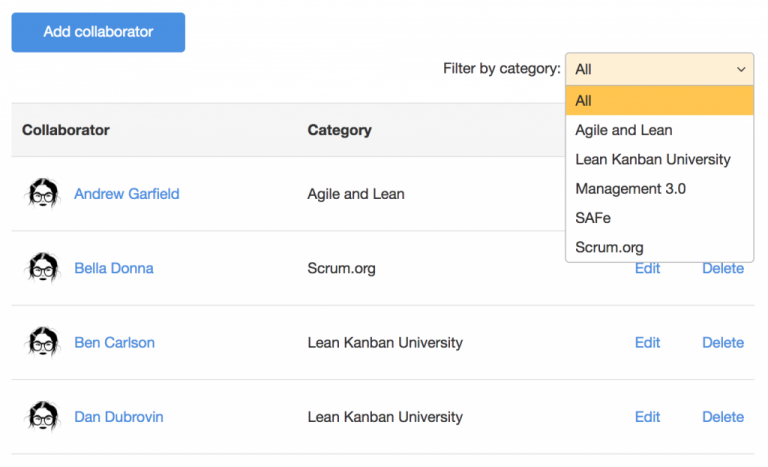 Note: by removing a category from a collaborator, you prevent this trainer to create new events under that category. Old events with related data (attendees, evaluations) are kept untouched. If you want to remove an access to old events, you need to edit each of them separately. If you want to prevent a collaborator to create new events under all categories at once, you can do it by clicking Delete link.